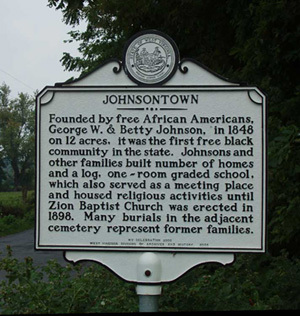 Johnsontown was founded by free African Americans, George W. and Betty Johnson in 1848 on 12 acres. It was the first free black community in the state. 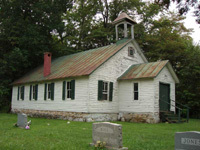 The Johnsons and other families built a number of homes and a log one-room graded school which also served as a meeting place and housed religious activities until Zion Baptist Church was erected in Charles Town in 1898. The burials in the cemetery represent the former families of Johnsontown. Roper, Sarah Ann Goens - Born: August 9, 1849, Jefferson County, Virginia(WV); Died: July 2, 1932, Jefferson County, West Virginia. 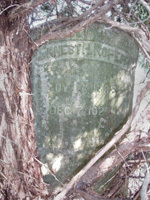 She was the daughter of Lawson and Sarah Ann Hart Roper. Also known as "Sallie"
Roper, Willie Etta Brown - Born: April 27, 1883, Rappahannock County, Virginia, Died February 17, 1942, Jefferson County, West Virginia. She was the daughter of William and Amanda Jogan Brown. She was a widow when she married Charles, first husband was an unknown Martin. Johnson, Willie Catherine Roper - Born: July 29, 1881, Jefferson County, West Virginia; Died: November 5, 1934, Jefferson County, West Virginia. Daughter of William Henry and Sarah Ann Goens Roper. Willie married James Daniel Roper on January 15, 1896 in Charles Town, Jefferson County, West Virginia. Her father gave written consent. Johnson, James Daniel - Born: January 9, 1867, Jefferson County, West Virginia; Died: July 13, 1932, Jefferson County, West Virginia. He was the son of George and Bettie Briscoe Johnson. 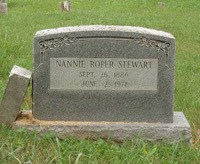 Stewart, Nannie Roper - Born: September 26, 1886, Jefferson County, West Virginia; Died: June 2, 1971. 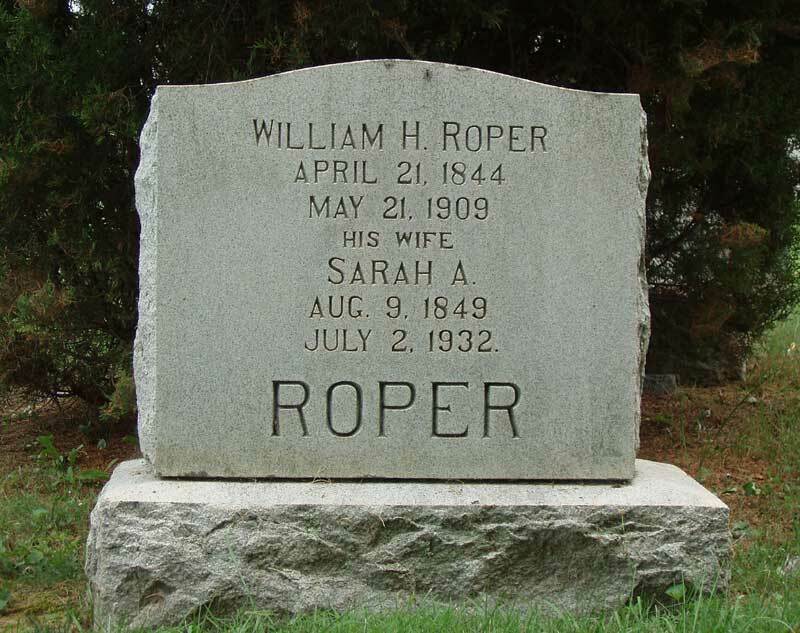 She was the 8th child of William Henry and Sarah Ann Goens Roper. 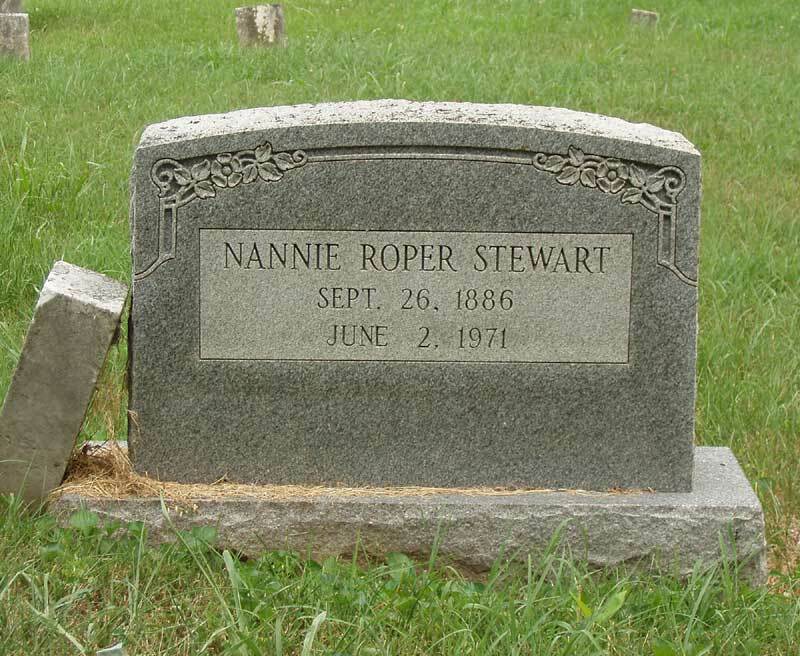 Nannie married an unknown Stewart. Roper, Ernest Hastings - Born: November 26, 1888, Jefferson County, West Virginia; Died: December 7, 1923, Jefferson County, West Virginia. 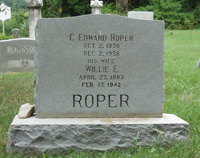 He was the son of William Henry and Sarah Ann Goens Roper. 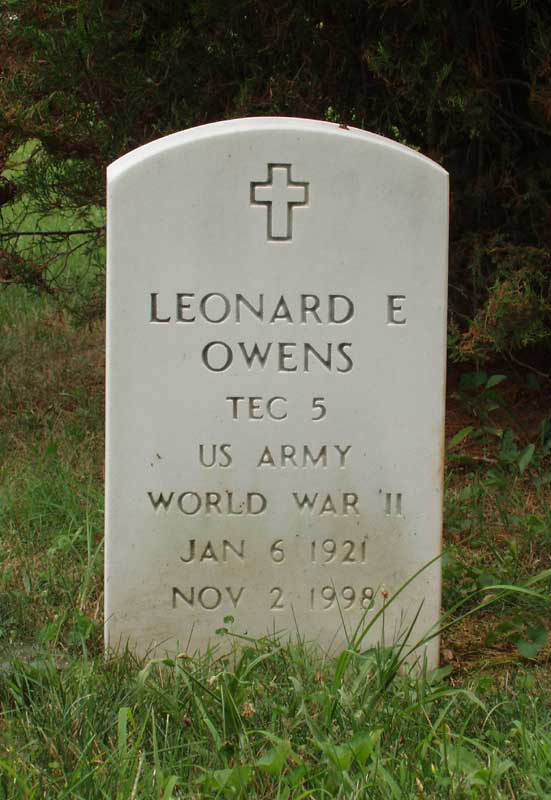 He married Nellie Virginia Brown on July 31, 1918 in Jefferson County, West Virginia. 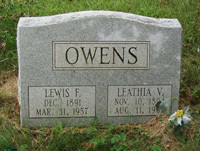 Owens, Leathia Roper- Born: November 10, 1894, Jefferson County, West Virginia; Died: August 11, 1962, Jefferson County, West Virginia. She was the daughter of William Henry and Sarah Ann Goens Roper. 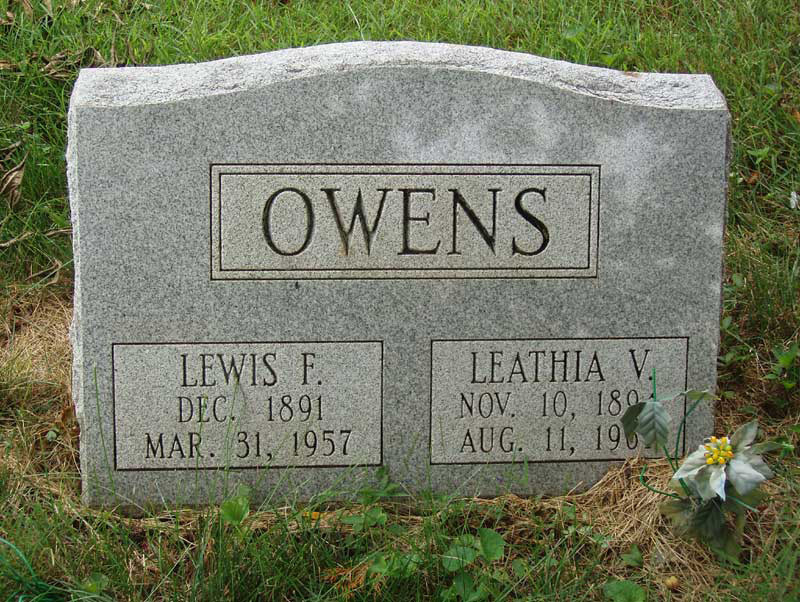 Leathia married Lewis Owens on November 14, 1914 in Jefferson County, West Virginia. Newman, Hilda Louise Owens - Born: May 6, 1923; Died: January 20, 1991. 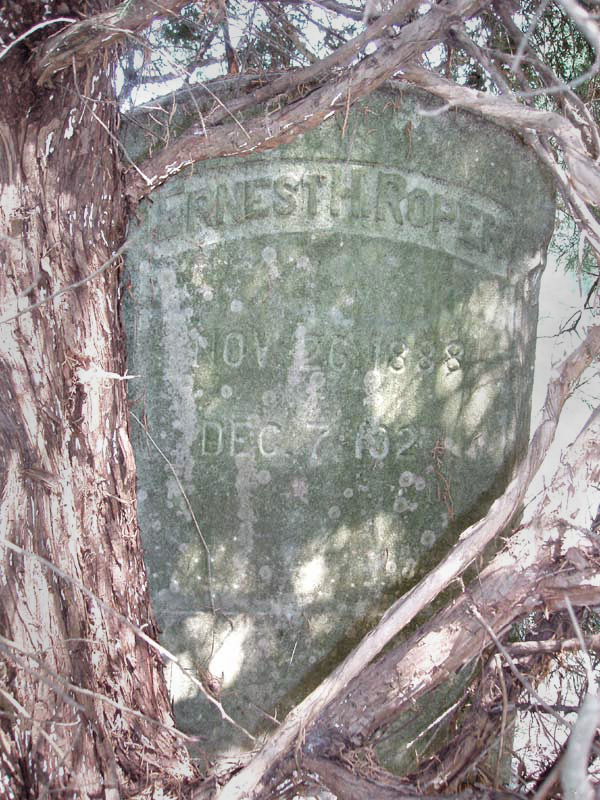 Daughter of Lewis F. and Leathia Virginia Roper Owens. Berry, Zada - Born July 9, 1928; Died May 30, 1981. Daughter of Odetta Johnson and John H. Berry.